Centipedes can be beneficial. They attack cockroaches and other house pests, but an infestation can be a nuisance. If you need help figuring out what type of pest you have and the best treatment for your situation, just contact a professional at Midwest Exterminating. Millipedes are arthropods that have two pairs of legs per segment (except for the first segment behind the head which does not have any appendages at all, and the next few which only have one pair of legs). Each segment that has two pairs of legs is a result of two single segments fused together as one. Most millipedes have very elongated cylindrical bodies, although some are flattened dorso-ventrally, while pill millipedes are shorter and can roll into a ball, like a pillbug. Lepisma saccharina, frequently called a silverfish or fishmoth is a small, wingless insect in the order Thysanura. Its common name derives from the animal’s silvery light grey and blue colour, combined with the fish-like appearance of its movements, while the scientific name indicates the silverfish’s diet of carbohydrates such as sugar or starches. They inhabit moist areas, requiring a relative humidity between 75% and 95%. 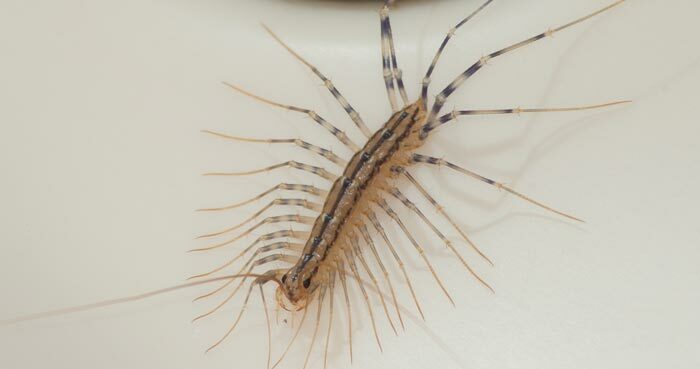 In urban areas, they can be found in basements, bathrooms, garages, closets, beds, pillows, and attics. 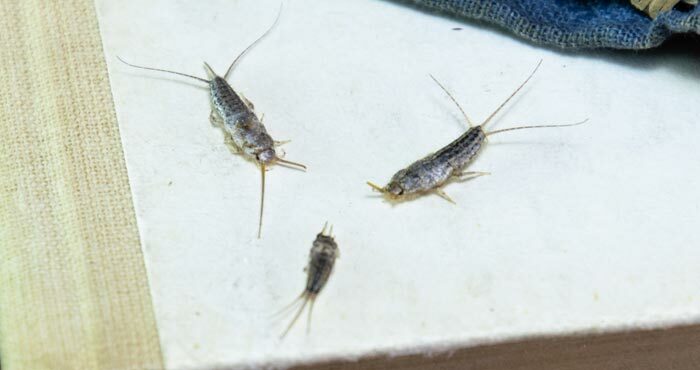 The Firebrat (Thermobia domestica, sometimes listed as Thermophila furnorum) is a small insect (typically 1–1.5 cm) similar to the Silverfish, both in the order Thysanura. Firebrats prefer higher temperatures and require some humidity, and can be found in bakeries and near boilers or furnaces.